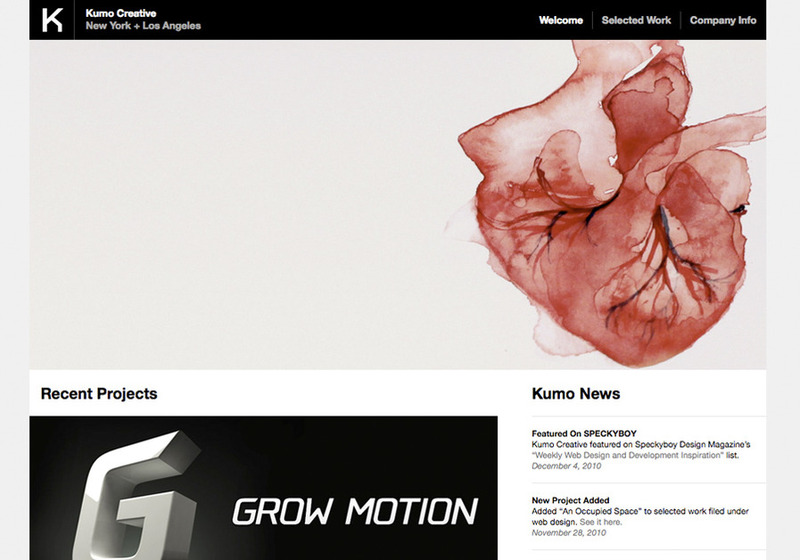 KUMO CREATIVE is a full-service design agency based in New York + Los Angeles focused on providing “Art for Artists.” We specialize in providing design services for other creative professionals like artists, motion designers, musicians, writers, art galleries, dance groups, models or anyone else looking for well-crafted design work. If you are looking for web, print or identity design built around your current style, or need help developing a look from scratch, our unique collection of talented designers, programmers, writers, and artists can provide end-to-end solutions for nearly any design project. We’d love to discuss your design projects and determine how we can help you – feel free to contact us at any time.